Hi and welcome to the Coastal Team! You have beautiful jewelry and great photography…good luck with your shop and don’t hesitate to ask if you need help. Love your work! Great shop! 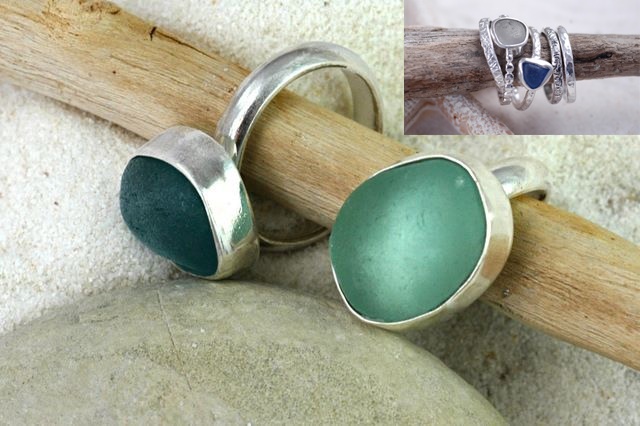 Your sea glass rings are just beautiful! Welcome to our little seagoing group! Love your jewelry and wish I was as good at marketing in so many different venues as you are! You create beautiful jewelry – it is superb. 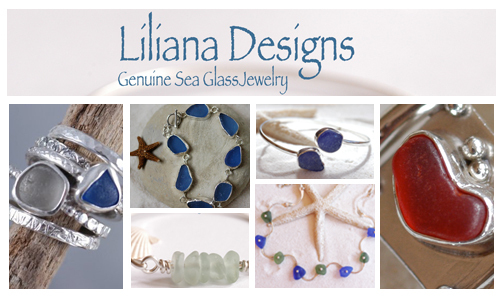 Sally Lee by the Sea ~ Blog for lovers of the coastal lifestyle. those green rings are so beautiful. What a nice article on such a multi talented lady. I love etsy and it is such a nice community of artists and good people. I could spend hours there. Happy New Year.